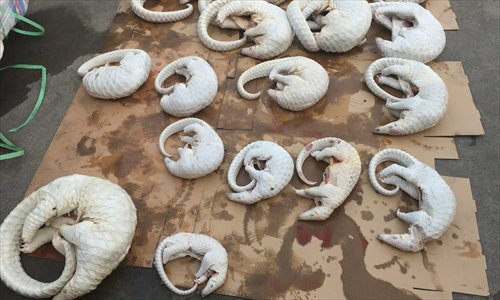 Customs officers in south China's Guangdong Province have seized 2,674 dead pangolins in wildlife trafficking. 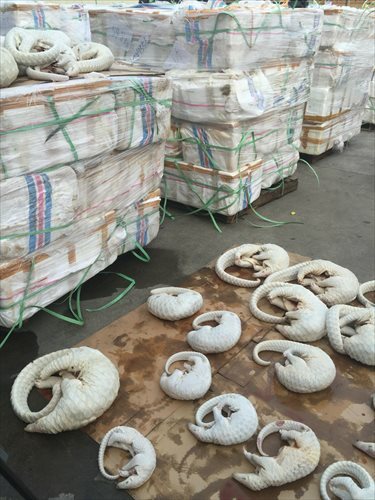 Customs authorities in Jiangmen said Monday they intercepted a fishing boat on September 14 and found 2,674 pangolin carcasses hidden in 414 cool boxes weighing about 11.5 tonnes. This is south China's biggest trafficking case involving the scaled anteater-like animal in the last five years. Two suspects on the boat were arrested. The two received the shipment of smuggled pangolins in international waters. 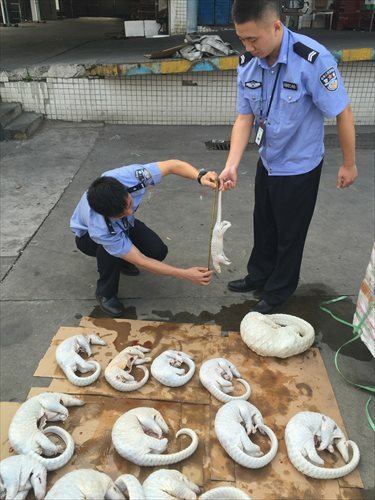 They were told they would each get 10,000 yuan (1,580 US dollars) reward if they managed to deliver the pangolins to the predetermined destination after taking advantage of a tropical storm. 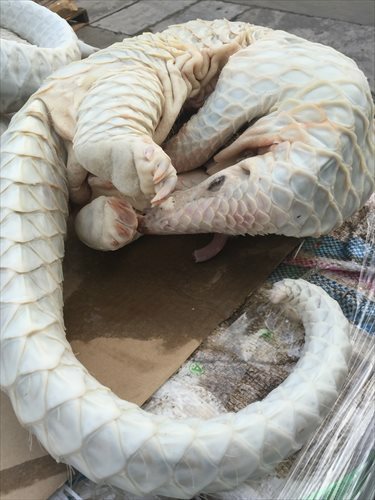 Pangolins, which are under second-class state protection in China, are often smuggled because their meat is considered a delicacy and their scales are believed to have medical qualities. Under China's criminal law, those who illegally catch, kill, buy or sell endangered wild animals on the state's key protection list could face more than 10 years in jail and fines.